Patients with ≥2 MDR risks were more likely to have MDR pathogens compared with patients with 0-1 risk. An algorithm based on risk factors for resistant pathogens and illness severity can simplify pneumonia treatment, improve the accuracy of empiric therapy, reduce mortality, and help avoid overusing broad spectrum therapy in some patients, according to new findings published in Clinical Infectious Diseases. 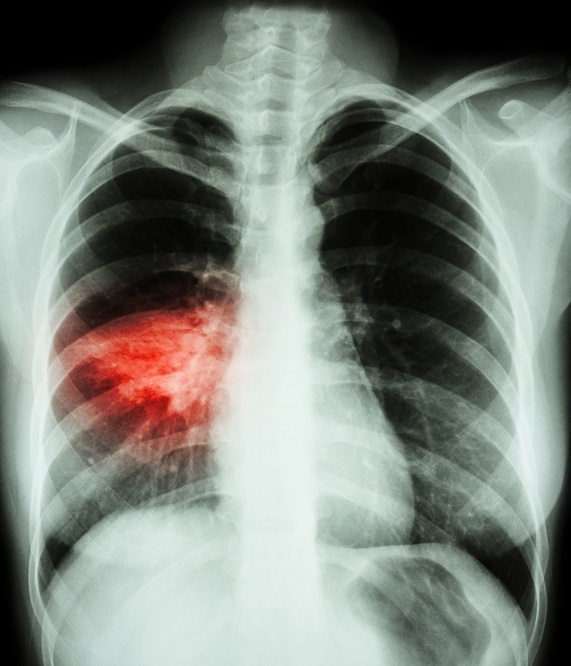 Empiric therapy in pneumonia is usually based on whether it is community- or hospital-based, but the study investigators hypothesized that appropriate therapy can be chosen independent of the site of acquisition and based on risk factors for multidrug-resistant (MDR) pathogens. A prospective multicenter cohort study was conducted at 12 Japanese hospitals and comprised 1089 patients with a confirmed diagnosis of pneumonia, classified as community-acquired pneumonia (n=656), healthcare-associated pneumonia (n=238), hospital-acquired pneumonia (n=140), or ventilator-associated pneumonia (n=55). An algorithm based on MDR risk was used to guide empiric therapy. Of the 82.5% of patients who received treatment according to the algorithm, 4.3% received inappropriate therapy. Patients with ≥2 MDR risks were more likely to have MDR pathogens compared with patients with 0-1 risk (25.8% vs 5.3%, respectively; P <.001). Overall, the 30-day mortality rate varied by acquisition site: ventilator-associated pneumonia (18.2%), hospital-acquired pneumonia (13.6%), healthcare-associated pneumonia (6.7%), and community-acquired pneumonia (4.7%), but was lower in patients with 0-1 MDR risk vs ≥2 MDR risks (4.5% vs 12.5%, respectively; P <.001). Risk factors such as age ≥75, hematocrit <30%, albumin <3.0g/dl, blood urea nitrogen (BUN) ≥21 mg/dl, chronic liver disease, hypotension (systolic BP ≤90 mm HG), and inappropriate therapy significantly correlated with 30-day mortality, but not the classification of pneumonia type. “This algorithm should be verified in other clinical settings, and could be supplemented by hospital-specific antibiograms, to optimize antibiotic choice of [hospital-acquired pneumonia] and [ventilator-associated pneumonia],” wrote the investigators.